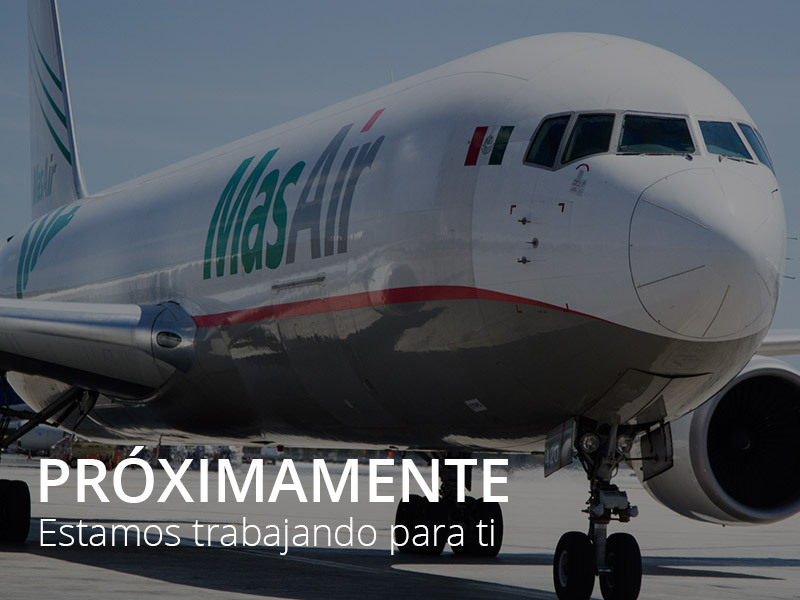 The user who has access to the MAS AIR website (www.masair.com), agrees to receive the cookies transmitted by the MAS AIR servers. "Cookie" means a data file that is stored on the hard drive of the user's computer when the user has access to the MAS AIR website. Cookies may contain information such as the identification provided by the user or information to track the pages that the user has visited. A Cookie cannot read the data or information on the user's hard drive or read Cookies created by other sites or pages. Cookies can be disable and deleted through the options of your web browser. However, Cookies allow you to take advantage of the personalized features we offer, so we recommend that you leave them activated.